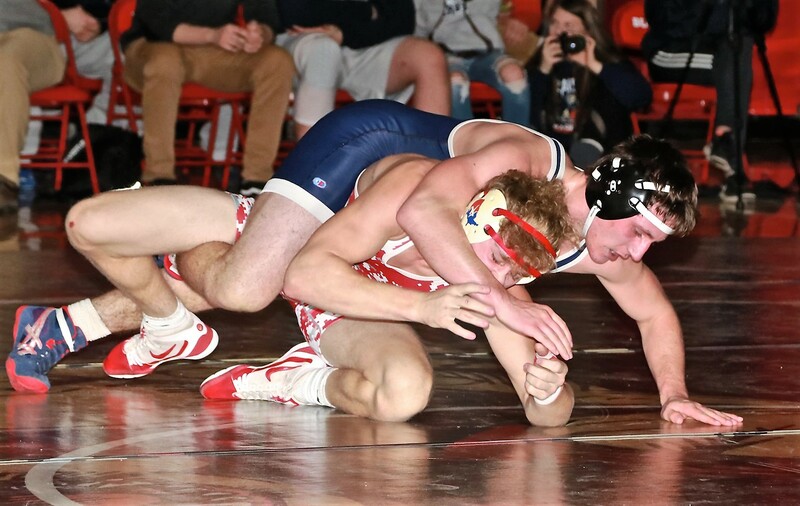 DUBOIS, Pa. – The 2018-2019 District 9 (and District 4) wrestling team championships are scheduled for this week, Friday, Feb. 1, and Saturday, Feb. 2. The winning 2A and 3A teams will advance to the State Dual Meet Tournament planned for Feb. 7-9 in Hershey, Pa.
Class 2A tournament is an entirely District 9 affair that is slated to now start Friday with a 4 p.m. quarterfinal match between Johnsonburg and Brockway. That match was slated for 7 p.m. Thursday but with schools being closed because of the weather, it was announced late Wednesday afternoon that it was being moved to Friday. It will be at 4 p.m. because of an already scheduled basketball game at Brockway later in the evening. Both teams will receive an additional two-pound weight allowance, which is in accordance to the PIAA manual for consecutive days of school closings, according to District 9 wrestling chairman Randy Cathcart. District 9 wrestling coverage on D9Sports.com is brought to you by Luton’s Plumbing, Heating, and Air Conditioning. The action then switches to Dubois High School for Saturday’s semifinals and finals. One semifinal will pit the winner of the Johnsonburg/Brockway match against reigning district kingpin Brookville. Wrestling in the other semifinal will be Redbank Valley against Port Allegany. Semifinals are scheduled for 12:15 p.m. with the finals to begin at approximately 2:45 p.m. Districts 4 and 9 will compete on Saturday in Dubois for the combined 3A championship. 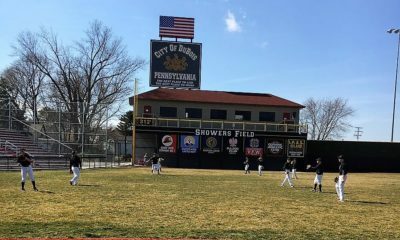 Quarterfinal action is scheduled to begin at 11 a.m. with Cranberry squaring off against Clearfield and Shikellamy taking on Williamsport in quarterfinal action. The Cranberry/Clearfield winner will wrestle Selinsgrove in one semifinal with Dubois getting the Shikellamy/Williamsport victor in the other. Semifinals are scheduled for 1:30 p.m. and the finals for 4:00 p.m.
All times for both tournaments outside of the 11 a.m. 3A starting time Saturday and the 2A quarterfinals are approximate with District 9 reserving the right to move them as needed. Matches will start approximately 10 minutes after the conclusion of the match before it. As Ric Flair was fond of saying, “To be the man, you gotta beat the man.” And the Brookville Raiders have been “the man,” winning 61 straight duals on the mat against District 9 opponents and claiming the past five team championships. According to head coach Dave Klepfer, the Raiders are healthy and looking forward to competing against some quality teams. Brookville features two state-ranked wrestlers in their lineup as well as five ranked in the NW Region per PA Power Wrestling (PAPW). Owen Reinsel is ranked 15th in Pennsylvania at 106 pounds while Colby Whitehill is the state’s fourth-ranked 285 pounder. Those ranked in the NW Region include Cayden Walter at 113 pounds (seventh), Cabe Park at 132 pounds (sixth), Wyatt Kulik at 138 pounds (ninth), Elliot Park at 170 pounds (seventh) and Tanner LeBenne at 220 pounds (sixth). Brookville has yet to face Port Allegany this season and but has wins over Johnsonburg, Redbank Valley and Brockway. PAPW currently has Brookville ranked eighth in its team poll. Head coach Mike Kundick has been aiming for the district team championship since the start of the season, considering all duals up to this point practice for the Bulldogs’ shot at Hershey. 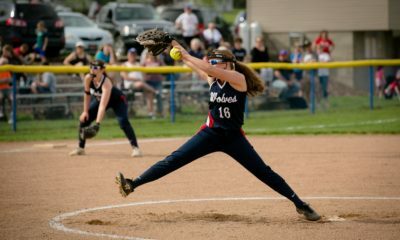 Redbank Valley has the distinction of being the last District 9 champion before Brookville began its current five-year run having won the title in 2013. The Bulldogs finished second to Brookville in 2015 and 2016. Redbank Valley was eliminated in the quarterfinals last season by Ridgway. Redbank Valley trots out four PAPW state-ranked wrestlers: 120-pounder Mason Songer (16th), 126-pounder Braydon Altobelli (21st), 132-pounder Ethan Wiant (22nd) and 195-pounder Aiden Gardner (19th). Another three Bulldogs have earned regional rankings from PAPW: Ridge Cook at 106 pounds (ninth), Trenton Rupp at 113 pounds (10th) and Hudson Martz at 182 pounds (10th). 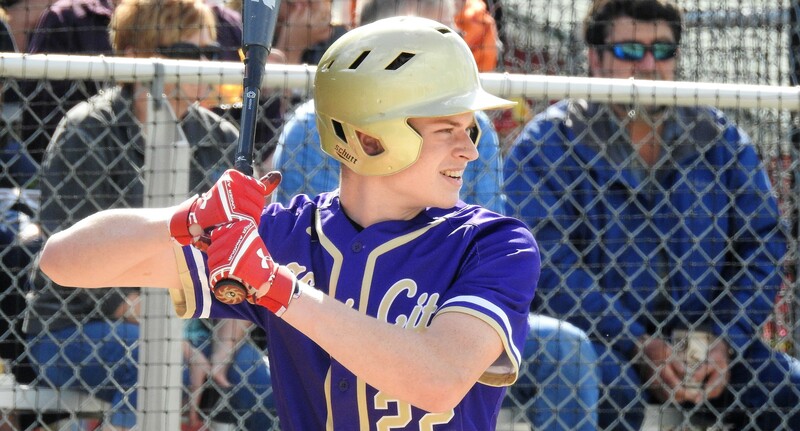 Though Redbank Valley and its quarterfinal opponent Port Allegany have yet to meet this season, they both hold victories over Johnsonburg and Brockway. The Gators, who coops with Smethport, are getting healthy at just the right time. At last season’s team championship, the Gators beat Johnsonburg in the quarterfinals before falling to Brookville in the semifinals. They rebounded by taking out Ridgway in the consolation finals. PAPW has given state rankings to five Gators: Bryent Johnson at 113 pounds (ninth), Reese Volmer at 120 pounds (18th), Braedon Johnson at 126 pounds (20th), Isaac Smoker at 145 pounds (15th) and Justin Young at 195 pounds (20th). Chase Weimer (106 pounds) is ranked 11th in the NW Region by PAPW and Eli Petruzzi ninth (132 pounds). Greenman reports that Port Allegany is excited for this weekend’s tournament, feeling that all his wrestlers, regardless of school, are focused on the same goal. “With mixing two strong programs together the big question coming into the season was how long it would take for the kids to stop thinking about the old days of the rivalry and come together. It happened relatively early in the season and now that we are striving for the same goal we’re going to be a hard team to beat,” commented Greenman. Brockway hopes it carries some momentum from its fourth-place finish in the Ultimate Warrior Tournament held Jan. 25-26 in West Branch, into this weekend’s team duals. Anthony Glasl (126 pounds) and Garret McClintick (182 pounds) both claimed Ultimate Warrior titles, while Mark Palmer (106 pounds), Santino Inzana (138 pounds) and Eric Johnson (195 pounds) secured places on the podium. Glasl (14th) and McClintick (10th) are ranked state-wide in their respective weight classes by PAPW. Regionally ranked Rover grapplers include: Mark Palmer, ninth at 113 pounds; Dominic Inzana, seventh at 120 pounds; Noah Bash, eighth at 160 pounds; Johnson (11th); and Hayden Thompson, ninth at 285 pounds. Brockway lost dual meets to Redbank Valley, Port Allegany and Brookville this season but defeated its first-round opponent of the upcoming tournament, Johnsonburg, 53-20 a week before Christmas. The Rovers have consistently forfeited 106-pounds this season. Head coach Eric Grecco feels that each of his wrestlers must do his part if Brockway is to win the district title. “We always stress getting team points and saving team points. We need to stay wrestling the entire length of the match. We need to perform at a high level and win the majority of the toss-up matches to come away as the team champs,” said Grecco. Brockway was runner-up to Brookville in 2018. This and the fact that a few injured wrestlers have begun returning to the lineup might be reasons for optimism this weekend. Though the Rams’ squad does not feature any state-ranked wrestlers, 120-pounder Cole Norlin (ninth), 152-pounder Cole Casilio (seventh) and 170-pounder Tyler Watts (13th) have garnered regional rankings from PAPW. Johnsonburg has consistently forfeited 220-pounds and 285-pounds this season, which has definitely impacted their overall record, which includes losses to Redbank Valley and Brockway. Johnsonburg entered the district duals last year for the first time since 2010, losing to Port Allegany in the opening round. Dubois’s wrestlers are “ready to go” per head coach Luke Bundy, who notes the Beavers are pretty healthy for this sage or the season and in a good frame of mind. The Beavers will enter the tournament with three state-ranked wrestlers: Trenton Donahue at 126 pounds (10th), Ed Scott at 138 pounds (second) and Dalton Woodrow at 145 pounds (17th). Chandler Ho (fourth) and Alex O’Harah (fifth) are regionally ranked by PAPW at 132 and 285 pounds, respectively. 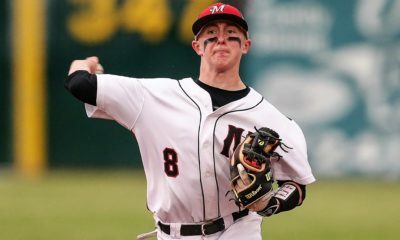 The only team in this year’s tournament field that DuBois has faced is Clearfield, who it edged 37-36 in mid-December. DuBois is currently the 19th ranked 3A team in the state. Cranberry is in its first year of 3A competition, the result of its newly formed co-op with Oil City. The Berries only state-ranked wrestler is Brayden Crocker, 16th at 220 pounds. Crocker, a freshman, won his weight class at last weekend’s Fred Bell Memorial Tournament (Jan. 25-26) and was named the Tom Tomeo Most Promising Young Wrestler at the event. PAPW regionally-ranked wrestlers include: Jacob Umstead, fourth at 106 pounds; Mitchell Rossey, seventh at 132 pounds; and Jesse York, seventh at 182 pounds. Cranberry has not wrestled any teams entered in the tournament this season and hasn’t met quarterfinal opponent Clearfield in at least the last four years. Head coach Dustin Wenner reports that his team is fairly healthy and believes the key to victory is picking up bonus points while limiting those scored against them. Head coach Mike Egan’s Shikellamy team has grown a lot since its first competition of the season, making improvements on a weekly basis. The Braves have two PAPW state-ranked wrestlers on the roster: 138-pounder Cade Balestrini (eighth) and 220-pounder Adam Young (ninth). Evan Bingham (182 pounds) is ranked fifth in the NW Region. Shikellamy lost to Williamsport, its quarterfinal opponent, at the beginning of January, 39-34. The Millionaires are starting to get healthy and are ready to compete reports head coach Brian Nasdeo. Braden Bower is ranked seventh in the state by PAPW at 113-pounds, while brother Riley Bower is the 14th ranked 120-pounder. Rounding out Williamsport’s formidable set of lower weights is Carter Dawson at 126 pounds, ranked 22nd in the state. Riley Hilner is ranked eighth in the NW Region at 132 pounds and Anthony Robinson third at 160 pounds. Like its opening opponent, Shikellamy, Williamsport has a victory over Shamokin and a loss to Central Mountain. Nasdeo believes the Braves can be successful if they are stingy with regard to giving up bonus points. Though PAPW has bestowed no state rankings upon any Bison grappler, the Clearfield lineup is peppered with regionally ranked competitors. Nolan Barr is fifth in the NW at 113 pounds, Karson Kline eighth at 120 pounds, Jude Pallo eighth at 138 pounds, Mark McGonigal second at 160 pounds and Avry Gisewhite fourth 285 pounds.